Reading cookbooks that spark my creativity is one of my guilty pleasures. Often, late in the evening I can be found with a stack of gorgeous picture-filled books by my side, a composition book in hand and my favorite pencil, sketching plating ideas, or variations of friends recipe to make them appropriate for our gluten-free life. Sometimes, I don't even have to vary the recipe, it is perfect as is. It is a joy to see people I've known for a while succeed, to publish their work for others to enjoy. Today's recipe is one of these perfect as is recipes. 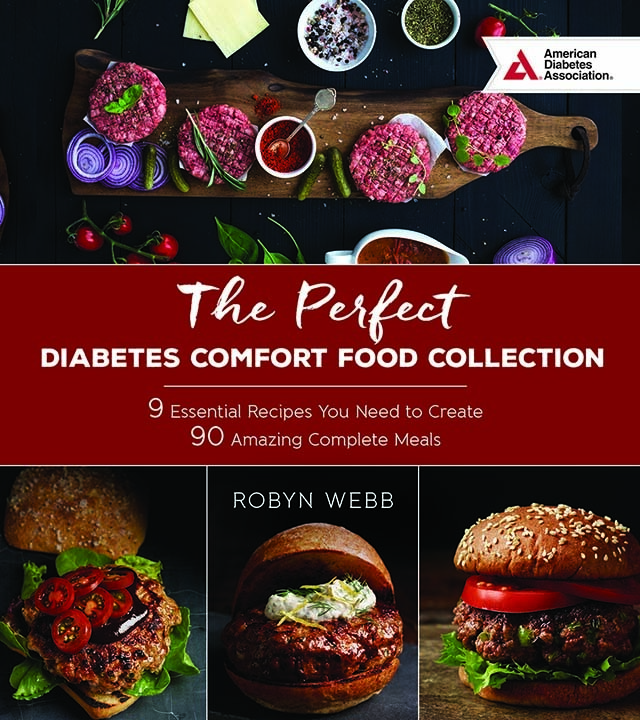 Robyn Webb, is one of my favorite references for newly diagnosed diabetic patients. 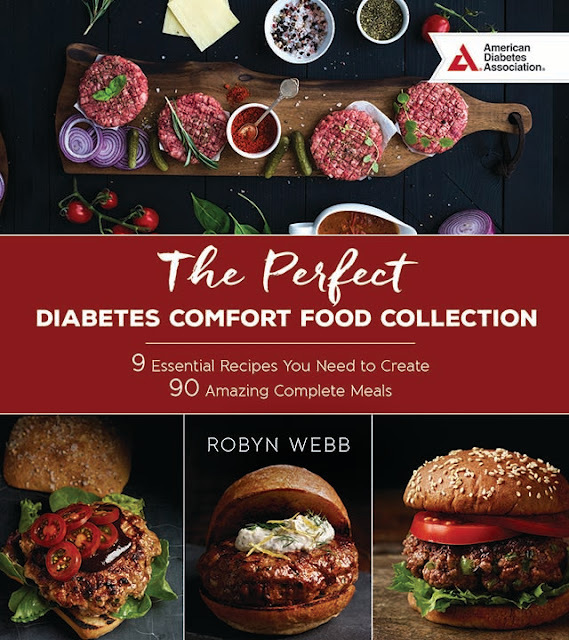 The Perfect Diabetes Comfort Food Collection: 9 Essential Recipes You Need To Create 90 Amazing Complete Meals makes the transition to a diabetic appropriate diet even easier. I was sent an advance copy and added it quickly to my Amazon pre-order list for addition to my clinic library. This recipe for Apple Cider Chicken is naturally gluten-free and so tempting for these cooler nights. I love the ease of preparation and have added this to my rotation for Meal Trains for friends and new moms. By including the sour cream and parsley to stir in after reheating, I can leave it out for my dairy free friends. The chicken freezes and reheats perfectly, moist and tender and redolent of savory herbs. 1. Sear chicken as in Master Recipe (page 37). cook for 2 minutes. Add the apple cider and broth and bring to a simmer. Cook for 3 minutes. the sour cream and parsley and serve. I added a grating of fresh black pepper just before serving. I wanted to use some of the wonderful patty pan squash that is still coming out of my garden as my vegetable. To make life even easier for me, I seared them before cooking the chicken, then kept them warm while finishing the dish.